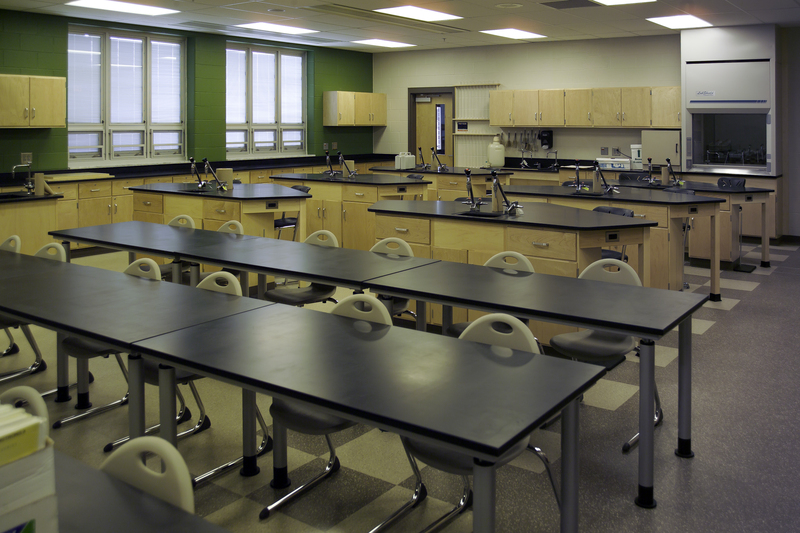 The high school has a 670 seat auditorium, event gymnasium, auxiliary gym, vocational shops and 41 classrooms and computer labs. 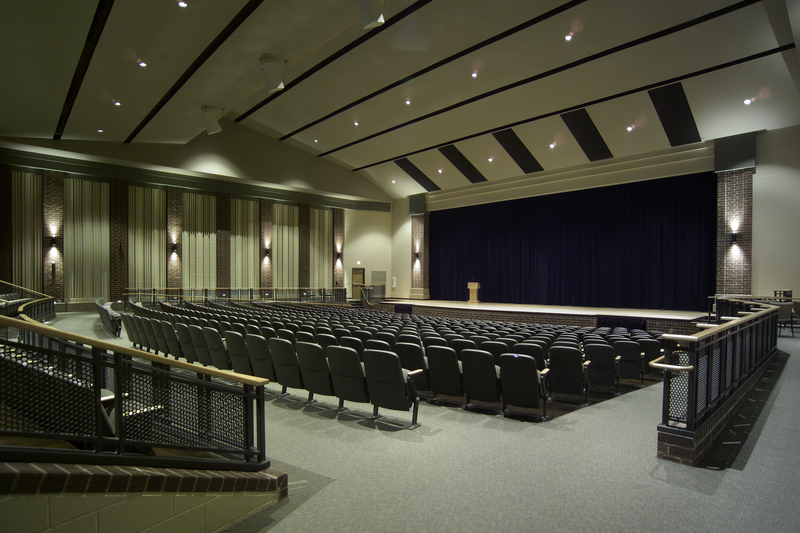 A 2,300 sf community room and fitness center was also designed into the project along with a performance stage in the commons. These three attributes allow for the community and business owners to use the facility for meetings, leisure and professional development. 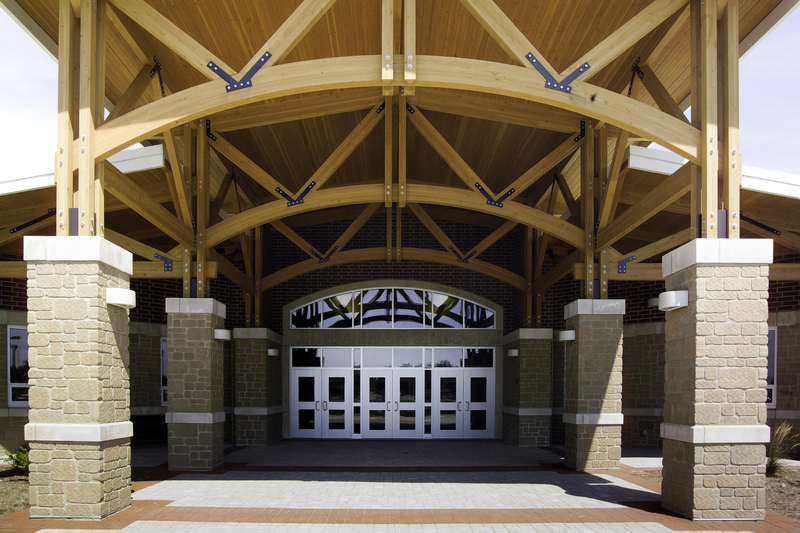 The main entry and drop-off is easily identifiable to visitors with its large timber canopy and pavered plaza. 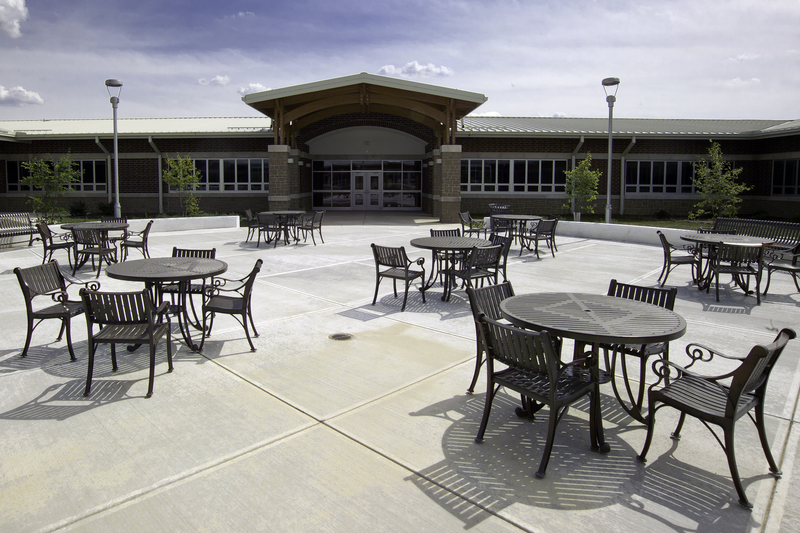 The interior courtyard allows for classroom views to the outside as well as a learning and relaxing space for students and staff. 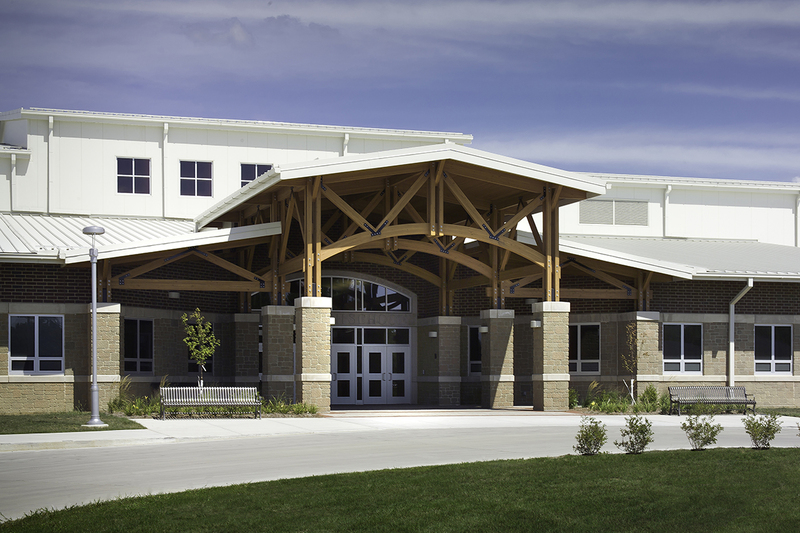 This project achieved LEED Silver Certification.